Welcome to another installment of Women to Read: Where to Start. As occasionally happens in my reading, an accidental pattern emerges, so this time around I’ll be recommending four stories all dealing with gods and religion. March is a good month for the mystical and spiritual, right? 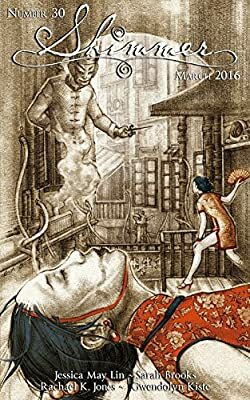 First up, my recommended starting place for Nghi Vo’s work is “Lotus Face and the Fox” from the January/February 2016 issue of Uncanny. The story opens with three masked figures, two wearing the faces of gods and one the face of a fox spirit. They are tricksters, inhabiting the their masks and using them as armor against the world. But fox’s assumed identity is starting to slip and the lost and grieving girl underneath is showing through. Once upon a time, their band of thieves were four, but fox’s sister was lost. Fox sets out to climb the jade tower where Lotus Face lives, as its said she has immense power and can grant any wish. The climb is painful and dangerous, but fox succeeds. She confronts Lotus Face, expecting to be struck down, but instead, Lotus Face offers fox a deal. She will trade faces with fox so fox will no longer see her sister’s features every time she looks in a mirror and be forced to revisit her grief. However, the trade comes with a price. Fox will have to take on all the burdens and loneliness that Lotus Face’s powers entail. The story is beautifully and efficiently told, unfolding layers as it progresses. 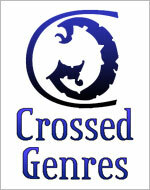 Its structure echoes its content, both are a journey, as fox climbs and the reader moves deeper into the tale. In a relatively short space of time, the story reflects on family, sorrow, identity, and memory, all wrapped up in a package of poetic imagery. For all these reasons, it’s a wonderful starting place for Vo’s work. 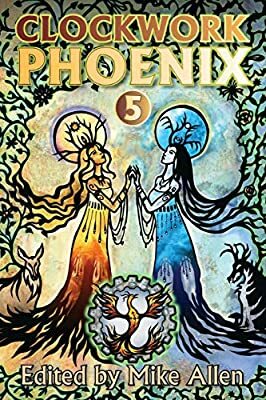 Next up, “Counting Mississippis” from the Winter issue of Kaleidotrope is my recommended starting place for Dora Badger’s work. The story is structured as a countdown, the way one counts the space between each crash of thunder to see which direction a storm is moving, lending tension and electricity to story. Though the gods in this story are never explicitly named, it seems the unnamed protagonist is a former lover of Zeus’ (or perhaps a victim, it’s hard to tell with gods, Zeus especially). Whatever their relationship, it ended unhappily, and with her carrying his child. Now she’s trying desperately to hide her daughter, and keep them both safe. Her daughter, however, wants to know her father. She is convinced a reunion between her parents would make them both happy. This echoes the protagonist’s own childhood. She may well be Poseidon’s daughter, as evidenced by her shimmering waves of blue hair. Her relationship to her daughter is similar to her relationship with her own mother, who raised her in a desert, far away from any hint of water, and told her nothing about the father she so desperately wanted to know. In the here and now, her daughter gets more extreme in her attempts to contact her father. She steals a lock of her mother’s hair, which is what first attracted Zeus, and which the protagonist keeps hidden now as a result. She dares the storms, calling the electricity ever closer, forcing her mother to move them again and again. In the end, the protagonist is faced with a choice – keep running forever, or sacrifice herself. Even with the mythological elements removed, this is a chilling story, one that can read as an allegory for spousal abuse. It’s also a story about failure to communicate and differing perceptions; the daughter sees her father as a wild, romantic figure, while the mother sees him as a monster. Because they don’t communicate clearly, resentment grows between them. The structure of the story is very effective, keeping the reader on edge as events countdown to an inevitable conflict. All in all, it’s an excellent starting place for Badger’s work. My recommended starting place for Sandra Odell’s work is “Godfall” from January’s GigaNotoSauraus. The story offers quite an interesting take on gods, following a group of scavengers who harvest useful material from fallen gods. The prime resources go to various nations, but whatever is left is taken by independents like the main character, Tully. As the story opens, Maya has fallen, and the various groups are moving in to claim their portion of the spoils – gold and precious stones from her jewelry, metals and minerals from her bones; even her skin can be treated and turned into armor capable of stopping nearly any bullet. On the other side of the equation are Mummers, a wandering group of pilgrims who have a religious interest the dead gods. Regardless of their motives, everyone is on a strict timer as celestial carrion worms will come down to devour anything that is left of the corpse, and anything that happens to be in its area, humans included. An atmosphere of tension surrounds the fallen gods – nations protecting their stake, independents distrustful of each other and the Mummers, and the clock working against all of them. Fallen gods have a tendency to cause destruction as well, cities and citizens alike crushed by the massive corpses. A god falling is akin to a natural disaster, but one that turns up precious resources in its wake. Even with this wealth of resources though, Tully is still struggling for one last take big enough to let him retire. However his current assistant, Marco, seems far more interested in the Mummers than working salvage. The rising tension between them, as well as the race against time makes for a fast-paced second act to the story. Odell works elements of horror into the story – the gods are meat to be carved up – but there’s poetry in the descriptions as well. Overall, the story offers a fascinating take on religion, how it can literally sustain a population, as well tear it apart. 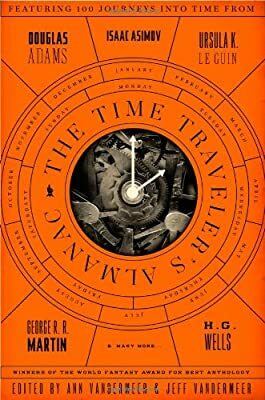 The final scenes bring an atmosphere of Lovecraftian weirdness, which plays well with the almost clinical idea of dividing gods up for scrap, and the semi-post-apocalyptic science fiction feel to the earlier parts of the tale. The styles blend seamless, and taken all together, this is an excellent starting place for Odell’s work. My final recommendation this month is Barbara Krasnoff’s “Sabbath Wine” from Clockwork Phoenix 5. The story centers around a young girl curious about religion, who is drawn to the local church by the lovely choir she can hear, but whose father has forbidden her to go inside. While listening outside the church, she meets a boy about her age who claims to be dead. She takes him at his word, but isn’t bothered by the fact. At home, she convinces her father to put together a proper Sabbath dinner just once, so she can invite her new friend, and experience the religious ceremony herself. Her father agrees, but almost immediately runs into a snag. They’re living under prohibition, and it’s almost impossible to get Sabbath wine. This situation could be played for humor, but Krasnoff uses it first to show the political and racial tensions running throughout the city, and also to show the more personal conflict the father feels between wanting to grant his daughter’s wish and his own obvious issues with religion. Finally the father goes to his daughter’s new friend’s father, who just happens to be a bootlegger. There’s a quiet tension to the scene when the two fathers meet, cuing the reader to a sense of wrongness without giving anything away. The bootlegger ends up accompanying his son to dinner, and over the course of the meal, both fathers reminisce about how they lost their children, and how their ghosts followed them to their new lives and new homes. Rather than coming off as a ‘gotcha’ twist ending, there’s a lovely melancholy to the reveal that the little girl is dead. The story deals with faith, both fathers having lost faith in different ways after the death of their children. At the same time, they both live daily with a miracle of sorts, their children’s continued presence in their lives. The story also deals with persecution. One father lost his daughter fleeing persecution in the old world, and the other lost his son to a lynching. Despite the darkness, Sabbath Wine is ultimate a story about hope and friendship, between the children and the fathers, and it is an excellent starting place for Krasnoff’s work. Welcome to another edition of Women to Read: Where to Start. Wait a minute, you may be saying, wasn’t there already a March Women to Read post? Very perceptive! There was indeed a March Women to Read, but as you might have noticed, there was no February post. Due to a scheduling snafu, February fell through the cracks. So, to make up for it, I offer you this bonus installment with three recommendations of fabulous women to read, and I’ll be back on track with another post in April. On to the recommendations! 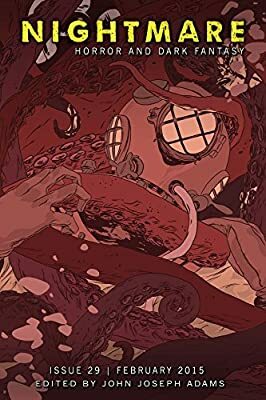 My recommended starting place for Halli Villegas’ work is “Fishfly Season“, which originally appeared in Chilling Tales 2, and has since been reprinted at Nightmare Magazine, and in Imaginarium 3: The Year’s Best Canadian Speculative Writing. Marisol moves with her husband back to the town where he grew up. A creepy Stepford Wives vibe suffuses the town and its people, and while no one is overtly hostile to her, it’s clear Marisol doesn’t belong. She is Other, not just because she wasn’t born there, but because her father is Mexican. Villegas uses the recurring imagery of eyes, blue eyes specifically, to underscore the racial element of Marisol’s outsider status. On top of these problems, Marisol and her husband arrive just at the time of year when the heat is miserable and the town is swarmed by insects that cover everything. On one of her first nights in the new house, Marisol sees a ghost at the end of her bed. The woman has eyes like blue glass beads, and a sense of hatred emanates from her. Between the heat, the insects, and already feeling out of place, Marisol’s sense of reality quickly begins to degrade. She sees a man in a hardware store about to attack her with a hammer. Unable to sleep because of the heat, she wanders the town’s darkened streets and comes across on a party where the guests are strangely animal-like, their jaws unhinging as they eat. Her husband appears to be among them, even though Marisol knows she left him sleeping in their bed. At the bottom of the driveway where the party is being held, Marisol discovers the corpse of the woman she saw standing at the end of her bed, and picks up one of her blue glass bead eyes. The story ends on the haunting image of Marisol pressing the bead to her own eye, ‘just to see’. If she makes herself more like the others in the town, will accept her? And what will it cost her if she does? “Fishfly Season” is a haunting story on multiple levels, playing with themes of assimilation, self, and the things people give up in order to be the ‘right’ kind of person, just like everyone else. The imagery is striking, and overall it is an excellent starting place for Villegas’ work. 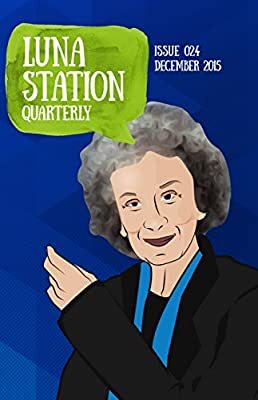 Next up, my recommended starting place for Riley Vainionpaa’s work is “The Corn Grows Back Every Year” from Issue 24 of Luna Station Quarterly, a quiet science fiction story with undertones of horror. Twelve year old Mellie loses her hand in a thresher accident, only to have it grow back almost instantly. She and her best friend Peggy set out to determine the cause. They perform a series of experiments, starting with pricking Mellie’s finger to see how fast she heals, and escalate to cutting off parts of her body, something Mellie is understandably less than enthusiastic about. 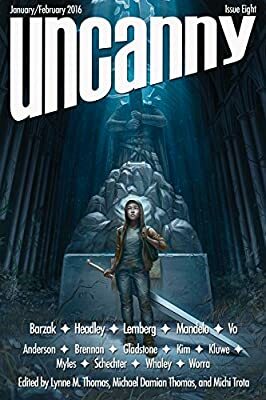 Peggy’s determination to unravel the mystery of Mellie’s new-found powers borders on the obsessive, introducing the horror element as readers wonder how far she will go. This could easily have been a story about jealously, or a super villain/super hero origin story, but at its core it’s a story about friendship. There’s no bitterness on Peggy’s part that Mellie is special, only scientific curiosity. The focus on science is a nice touch in itself. The girls search for genetic mutations, and compare Mellie’s regenerative powers to those of a newt, but neither assumes the powers have supernatural origins. 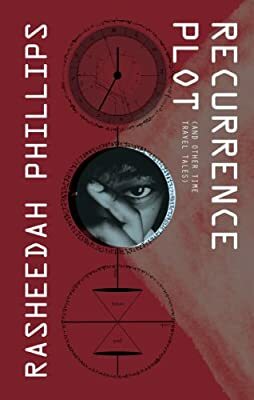 That said, the story does touch on psychological and spiritual questions as Mellie grapples with her sense of self, and wonders what is truly essentially to her as bits are cut off and re-grown. Vainionpaa’s imagery is effective; she describes Mellie’s finger as a bad photocopy, degrading each time it re-appears. It’s a contemplative story, both eerie and touching, and a worthy starting place for the author’s work. Finally, my recommended starting place for Beth Cato’s work is “The Souls of Horses” from Clockwork Phoenix 5. Ilsa has the power to transfer the souls from dying horses into wooden carvings. Most become part of her wondrous flying carousel, however one horse in particular is special to her, Bucephalus, and his soul resides in a carved figure on her mantel piece. The story is set during the Civil War, and when the army hears of Ilsa’s powers, they come calling. They want Ilsa to transfer the souls of horses who have died on the battlefield into durable metal bodies with wooden hearts so they can ride into battle again. Ilsa is reluctant, but the army captain refuses to take no for an answer. He threatens Bucephalus to ensure her cooperation. Ilsa agrees, but on her terms. She will only transfer the souls of willing horses, those who want a second chance at life. Ultimately, “The Souls of Horses” is about freedom and choice – the horses choosing to live again, characters choosing their families and their place in the world, the freedom of riding on horseback, and Ilsa’s desire to help Culver, the slave who builds the metal horses escape north to freedom. Cato’s language is gorgeous, and the relationships in the story – from Ilsa’s relationship to Bucephalus, to the young army Lieutenant’s relationship with Culver, and even the relationship the army Captain comes to have with Bucephalus – are genuinely touching. In her story notes, Cato says this story is one she’s wanted to write since fifth grade when she declared her intention to write books about the Civil War and horses. It’s clear this story is close to the author’s heart, and that, along with all its other wonderful qualities, makes it an excellent starting place for her work. Welcome to another edition of Women to Read: Where to Start. 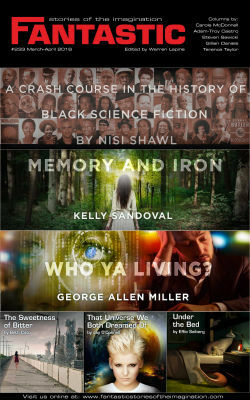 Spring is upon us, which seems like the perfect time to talk about stories focused on birth, death, and transformation. Shall we? 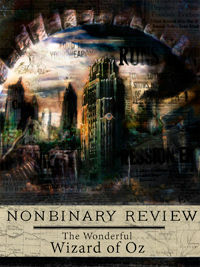 First up, my recommended starting place for Kate Lechler’s work is “Cottonwood” from the December 2014 Issue of NonBinary Review. It just so happens to be the author’s first published piece of fiction, which makes it the ideal starting place. “Cottonwood” is a lovely, poetically-told story that revisits Oz in its later years after Glinda and Osma have both vanished. Dorothy is the dying Empress, one who has spent years trying to remake Oz into her personal vision of Kansas, planting non-native trees and grasses, and destroying the current ecology. It functions on a story level, and as an allegory for the hubris of humanity, colonization, and the environmental impact humans have on the world. 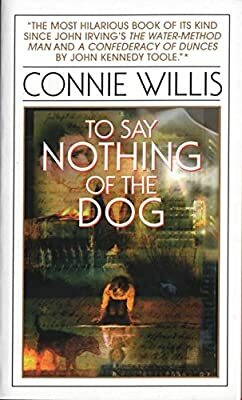 At the same time, it weaves a picture of violence and regret, and layers it with loss and devotion, all within the space of a few thousand words. Everyone in the story has lost something or someone, or they are in the process of losing them, and their reactions are quite different. Dorothy turns to brute force, trying to recreate a lost world and install her vision of paradise in its place. Nick Chopper has lost ‘his’ version of Dorothy, the one he loved, but he does his best to support what Dorothy has become, attending her in her dying days and trying to help her find some measure of peace. It’s the kind of story that hints at a much larger world while employing an economy of words. One of the benefits of drawing on existing stories is that the author can use shorthand to fill in much of the back story, and use that as a jumping off point to craft something new and affecting, which Lechler does beautifully here. “The Governess with a Mechanical Womb” by Leena Likitalo from the March 2016 issue of Clarkesworld is a deeply creepy and atmospheric story. It might be best categorized as science fiction with undercurrents of horror, and a surprisingly touching ending. Agneta and her little sister Saga live in a dark, future version of Finland, which oddly echoes England’s Victorian past. They are cared for by their Governess – a creature who was once human, but who has been converted into a semi-mechanical being by the mysterious Victorians, aliens (maybe) from another planet or another time. Their motives are unknown, but after arriving on earth, the Victorians began imposing their own rules of morality on humanity. The girls’ mother was killed by the initial arrival of the Victorians’ ships, and their father was later executed by the Victorians for breaking their rules. Young as she was, Saga only remembers their parents vaguely, but Agneta remembers and resents the Victorians and the way they are forced to live now. The Governess provides for the girls by means of a portal that accesses pockets of time. They take excursions together to ‘acquire’ clothing and other items from empty houses. Technology is forbidden, as is anything plastic or not fitting in with the eerie aesthetic adopted by the Victorians – crinoline, top hats, natural fibers and so on. Agneta is doing her best to make life normal for her little sister, sheltering her from what she perceives as a harsh new reality. For Saga, however, this is how she world has always been. She bonds with the Governess and considers her a friend. Through coming to understand her sister’s point of view, Agneta finally sees the humanity buried in the Governess and the horror of her situation, leading to the story’s emotional climax. The world-building here is lovely and unique. The whys of the Victorians are not explored; the point of the story is the characters, the relationship between the sisters, their unique viewpoints informing their actions in the story, and the subtle horror of the situation. It’s a moody piece with a strong character arc, and an excellent starting place for the author’s work. 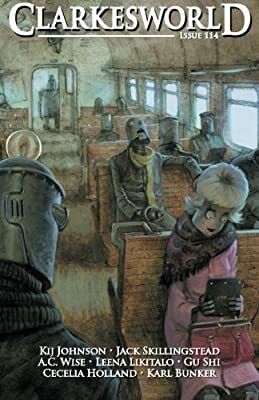 Last, but not least, my recommended starting place for Kelly Sandoval’s work is “Memory and Iron” from the March-April issue of Fantastic Stories of the Imagination. The story takes on the myth of the changeling child, telling it through the eyes of a mother who knows exactly what her daughter is – not quite fairy, but not quite human, a little of both, and it’s left mostly to implication as to how she came to be that way. Katherine is a good mother. She wants what’s best for her daughter. She wants to protect Elizabeth from the wilds of the world, and from fey creatures that might steal her away. She hangs iron and horseshoes, and binds up her daughter’s hair, ignoring her husband when he calls her superstitious. The subject matter is familiar, but Sandoval approaches it sideways. It’s not a story about loss, but about guilt, a mother who sees her daughter as the manifestation of her sin, but loves her fiercely and wants what’s best for her nonetheless. It’s a bittersweet story, and a fine character piece, accomplishing a lot with very few words. Overall, it’s a lovely spin on a familiar tale, and a wonderful place to start with Sandoval’s work.